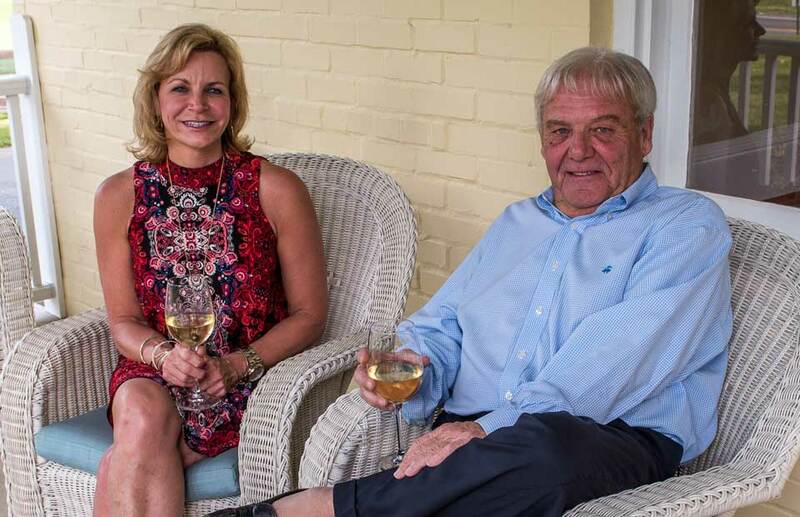 Larry Johnson and Brenda Daeschner have operated West End since 2014, building on their vision of a unique dining experience in western Loudoun County. After acquiring the property, they supervised the details of the restoration, revealing the Inn’s former glory and unique features. Inspired by the area’s wineries, breweries and surrounding farms, the duo brings Farm-to-Table dining and seasonal flair to The West End. Larry is the CEO and founder of Veris Consulting, a nationally recognized accounting and economic consulting firm and the founder of Johnson Lambert, an accounting firm among the Top 200 in the nation. He is also among the leading thoroughbred breeders in Virginia and leading thoroughbred owners nationally. Brenda too has a long entrepreneurial resume that she now applies to making each West End experience extraordinary through daily operations. Declan Holmes oversees special events and catering at The West End, from intimate dinners for 20 to weddings, showers and corporate events for larger crowds. Along with our Chefs and staff, the entire team at West End welcomes residents and visitors alike to gather at our location on Main Street, upholding the tradition and heritage of our building for more than a century.